Does Spinal Decompression Help Low Back Pain? Comments Off on Does Spinal Decompression Help Low Back Pain? Spinal decompression may help treat low back pain, but this popular treatment isn’t a sure thing. Advertising for spinal decompression targets people with degenerative disc disease, bulging discs, herniated discs, or spinal stenosis. Spinal decompression is a form of mechanical spinal traction, which refers to the separation of the bones, joints, and discs of the back. It is theorized that this separation relieves pressure on the nerves in the back and helps decrease pain, and thus, improve function. Many spinal decompression systems are operated by the use of a computer, allowing the health care provider to adjust the amount of traction force, the angle of traction provided, or the amount of time the traction force is applied. Common trade names of spinal decompression devices are the VAX-D System, the Spinal Aid System, and the DRX-9000 System, among others. Some spinal decompression units require that you lie on your stomach while treatment is rendered; others have you lie on your back. Are there risks associated with spinal decompression? A review of the published data for the use of spinal decompression reveals very little risk associated with treatment. One study reported on a patient who developed severe pain while on the unit. A follow-up MRI of the spine revealed that this patient’s lumbar herniated disc had increased in size. The patient subsequently had a lumbar surgery and it was reported that the patient recovered fully. Other studies report some increase in pain for a few participants. The main theory behind spinal decompression is that providing traction to the compressed structures in the spine helps relieve pressure and pain. A study published in the 2001 issue of Physical Therapy Journal (PTJ) evaluated various forms of treatment for acute (symptoms for less than 4 weeks), sub-acute (4-12 weeks) and chronic (more than 12 weeks) low back pain. The published evidence available for the use of traction for low back pain received a grade of “C” (no benefit demonstrated). 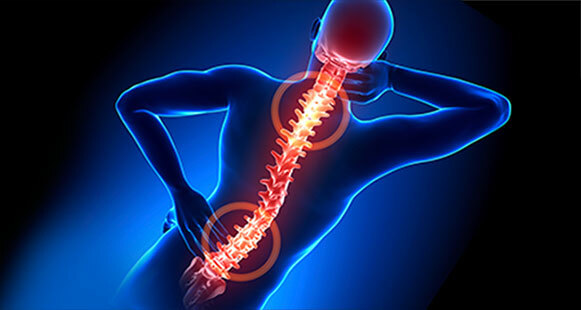 Claims have also been made that spinal decompression creates negative pressure in the discs of the spine, which helps to pull bulging discs back into place. A published study reporting on three patients concludes that spinal decompression did lower the pressure in the discs while using decompression. This is a small study, however, and no cause and effect conclusion about spinal decompression and low back pain can be made. However, more studies have been conducted since the ones mentioned above. More observational studies using larger trial groups are finding the spinal decompression may help with some of the symptoms of low back pain, specifically the radicular leg pain. And, there are still smaller studies finding positive outcomes. Simply put, there is limited scientific evidence that spinal decompression can help your low back pain. Does that mean that it does not work? Not entirely. It just means that the current level of research is not sufficient to draw positive cause/effect conclusions for the use of spinal decompression. There may be other more affordable options for you to consider when faced with treating your low back pain. What does help low back pain? While many treatments are available for your low back pain, the scientific data indicates that maintaining normal activity is a good treatment (grade of “A” — benefit demonstrated — in the 2001 PTJ review) for acute low back pain. Exercises for your low back also received a grade of “A” for sub-acute and chronic low back pain. The great thing about exercise is that it is a low-cost, easily implemented treatment. Your physical therapist can teach you how to improve your posture and implement the right exercise program for your specific condition to treat your low back pain. If you have pain in your shoulder and difficulty lifting your arm overhead or has trouble rotating arm, you may have frozen shoulder. Frozen shoulder also known as adhesive capitalistic, is a painful condition that seems to start gradually and slowly limit your ability to lift your shoulder and arm normally. There are many reason you can have frozen shoulder. Main reason is not moving shoulder normally after any shoulder injury can lead to adhesion in shoulder capsule which in turn lead to frozen shoulder. Physical therapist can really help you with frozen shoulder. Physical therapy for frozen shoulder normally involves therapeutic modalities (to control pain and relax shoulder), Range of motion (ROM) exercises to improve shoulder mobility, Passive range of motion, shoulder mobilization and shoulder/scapular strengthening exercises. Home exercise program is very important part of physical therapy. Patient with frozen shoulder might be given hot packs, electrical stimulation or ultrasound to relieve pain temporary so patient can exercise better. Skilled manual therapy is very important in frozen shoulder patients. That may be passive range of motion, joint mobilization. This has to be done by physical therapist to achieve more mobility in shoulder. Patient should be given some range of motion exercises to do and some stretches. ROM exercises and stretches could be painful at times but as long as that pain is temporary patient should not be worried about. Patient can be started initially with isometric exercises along with other strengthening exercises. Strengthening exercises includes rotatory cuff strengthening, shoulder muscle strengthening and scapular strengthening. Therapist may use free weights, the bands or cable machines to strengthen shoulder and scapular area. Frozen shoulder can be a painful condition that prevents you from moving your arm normally. If you have a frozen shoulder, it is important to use specific exercises and motions to help get your arm and shoulder moving again. By consulting your physical therapist getting to work with step-by-step program, you may be able to quickly and safely resolve your frozen shoulder and get back to your normal movement and functional ability. Anybody who gets back pain and sciatica kind of pain will have common questions what should i do, what i should not? Who should I see and can I fix pain by myself? Should I do flexibility exercises or strengthening exercise? In most cases patient with severe sciatica kind of pain end up in first med or emergency room. They might do x-ray and most likely give them pain killers and would advise patient to see either orthopedic or physical therapist depends on their condition. In any case, you might end up with physical therapy. Physical therapist role is to centralize your pain, help you to maintain correct posture and do back stabilization exercises. Physical therapist may also use pain modalities to control your pain. Physical therapists who is trained in McKenzie methods are specialist while treating sciatica kind of pain. Therapist should be able to do thorough assessment of your problem and see whether you are right candidate for McKenzie technique. With McKenzie technique therapist will try to centralize radicular pain and then help you to reduce or eliminate pain from back completely. Mackenzie exercises are done in progression. Once patient is comfortable with first step of exercise then move to next. How Do I Know If the Exercise is the Correct One for Me? If your symptoms worsen, fail to centralize, or only centralize partially, move on to the next exercise in the list. Attempt the exercise, and monitor any changes in your symptoms. Remember pain that moves closer to your spine is a good sign. Any sign of more radicular pain or worsening symptoms patient should stop those exercises immediately and speak to their physical therapist. Also before starting any exercise for your back in severe cases, it is a good idea to check in with your doctor to be sure that exercise is safe for you to do. In the case of sudden onset of acute low back pain, you should try the emergency back pain exercises first. Lie on your stomach for a few minutes, if that is comfortable then prop onto your elbows for a minute or two. Monitor your symptoms for centralization. If it centralize continue and you can slowly go on elbows. If symptoms are improving then and then only, try a few press ups. Try to keep your hips and back relaxed as you use your arms to press your upper body up. Try to press up as far as possible to restore the normal forward curve in your low back. Perform 10 repetitions and monitor your symptoms. If your pain does not fully centralize with the press up exercise, you may need to see doctor or physical therapist. Above mentioned exercises first step in McKenzie exercises. If that has not resolved your problem you need attention for your problem. What to Look in Your Physical Therapist? Why Physical Therapy for Auto Injury Treatment? Initial medical treatment for motor vehicle accident for neck pain is rest, protection, ice and seek medical help from either primary care physician, orthopedic or neurologist. They might start patient with pain killers, anti-inflammatory and send them to physical therapy to re-gain range of motion and strength. Regardless of the severity of the injury, you will benefit from a physical therapy program. When Do I Start Treatment for an Auto Accident Injury? It is highly recommended to begin physical therapy as soon as your physician prescribes or within 1 week. Treatment will be initiated to control pain and diminish swelling. Small movements are introduced to begin your tissue’s repair process. Or Isometrics to prevent loss of muscle strength. Eventually physical therapist will work on your posture and restoring normal range of motion and strength. Fortunately for people in bayside queen’s area, New Age Physical Therapy has experience physical therapist who has more than 15 years of experience in orthopedic physical therapy. Patient will be assigned to one physical therapist and will follow up with that physical therapist who can manage and alter plan as necessary to resolve pain and symptoms as soon as possible. Physical therapy may include hot packs, electrical stimulation, and isometric exercises, range of motion exercises and later flexibility and strengthening exercises. Most of physical therapy is done hands on at new age physical therapy with simple exercises which patient can carry out at home on regular basis and which helps them recover faster. 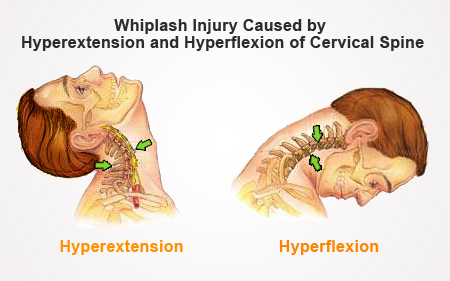 If you are suffering from whiplash injury and if you have any question or concern please feel free to call our office, our experienced physical therapist will help with any question and concern you may have. People who suffer from lower back pain are encouraged to help themselves with exercises and being active and getting skilled physical therapy. Lot of times patients are not explained in detail what is causing their pain and how to manage them so they can get better faster. As back pain is very common and most of us experience in our lifetime. Best way to avoid surgery or get better faster is to perform skilled exercises with help of physical therapist who can tailor exercises depends on type of back pain patient has. There are several structures in the back that can cause and/or contribute to low back pain. Although the intervertebral disc is a remarkably versatile and strong structure, essentially acting as a shock absorber during everyday activities, sometimes the disc fails when there is a sudden, unexpected force (such as a fall, lifting, or other trauma), or due to ordinary wear and tear over time. And when the disc does get injured it repair itself with fibrous tissue which can also cause pain and patient could hae recurrent back pain. Activity is also needed to maintain the exchange of fluids in spinal structures and reduce swelling that naturally occurs in the tissues surrounding an injured disc. This swelling can further irritate nerves that are already affected by herniated disc material. It can be achieved by particular exercises and physical therapy modalities. These patients are normally complain of radiating, numbness, heaviness kind of pain and also complains of weakness in some leg muscles at times. The collective soft tissues around the spine – the muscles, ligaments and tendons – are also very important in maintaining proper spinal balance and strength. With decreased activity, the connective fibers of ligaments and tendons can begin to adhere to each other and lose resilience and may tear when sudden overload occurs. Unlike discs or connective tissue, however, when soft tissues are injured, they can quickly repair themselves. Since muscles are in constant communication with the central nervous system, anger or anxiety can tense the muscles and cause muscle spasms. Ongoing tension inhibits normal muscle function and leads to muscle wasting and further stability problems, which in turn can lead to chronic lower back pain. In this cases normally patient is complain of localized pain. When nerves are cut, pinched, or otherwise irritated, the muscles that the nerves control cannot work or reduce function of muscles. For example, when a herniated or bulging disc presses on the L4-L5 nerve root, it may inhibit the nerve’s ability to make the muscles it controls in the ankle and foot work properly, causing what is known as foot drop – the ability to raise the foot or stand on one’s tiptoes. Most of these patients are complain of radiation, numbness, burning pain along with weakness in muscles or unable to move muscle. Above mentioned are few reasons person can have lower back pain or leg pain with or without back pain. In any case, Patient should consult orthopedic or neurologist if pain is really worst. In other circumstances patient can have consult with physical therapist and see if they can help them. The amount of people having chronic pain is increasing now a days. A recent NIH study has showed those numbers. The growing number of people experiencing pain has resulted in an unprecedented growth in prescriptions of diploids and anti-anxiety medications. And, deaths from abuse of these drugs is at an all-time high. By identifying patients at risk of opined and Benzedrine abuse more quickly, and getting them the right care, we can improve the quality of life for millions of people, and, in some cases, save lives. Lot of times going conservative and modifying life style can improve patient’s pain and quality of life. There are many definitions of chronic pain, but one of the most widely accepted is any pain lasting longer than 12 weeks. Having pain for longer than 12 weeks is simply not normal. In contrast, acute pain, that is, pain lasting for a shorter period of time. Sub-acute pain is when pain is closer to acute but not chronic yet. Think about the differences between the acute pain and chronic pain, you experience pain while playing soccer twisting your ankle or knee, initial pain is acute pain. Patient now sees doctor who stabilize his/her injury and give necessary prescriptions. In subacute phase patient might be referred to physical therapy to control pain, decrease swelling, and promote healing strengthening and getting back player back in sports. Now same scenario happens with somebody twisting ankle walking down street and didn’t take care of it thinking it will be better but patient still have lingering pain after three months that is chronic pain. Certain pain starts suddenly (acutely) and get resolved with time. Unresolved pain can turn into chronic pain. Over period of time if chronic pain is not taken care of can lead to arthritic changes in that join or can lead to complete disability. That in turn led to depression other complications. Every year people going to emergency and dying from strong pain killers like OxyContin, Percocet and heroin are increasing and it’s alarming. Patient should be treated more conservative with physical therapy, psychological counselling and modifying life style which can reduce opioids related deaths from overdose. From any aches, pain, joint stiffness or other musculo skeletal problem physical therapist has knack to assess and treat them. Physical therapist can really understand bio mechanics of your joints and muscles. You can always see a physical therapist for any of your needs with aches and pain. The first step in physical therapy treatment is assessment. Patient has to be evaluated in detail to understand their problem and underlying causes. It is very important that they go the root of the problem to treat patient effectively. Although patient may come to see physical therapist for many different reason. It could be neck pain, back pain, shoulder pain, knee pain, ankle pain, therapist has to lay out a treatment plan. Most of the treatment plans may include Ice, Heat, Electrical stimulation, Ultrasound, Manual therapy, Therapeutic exercises. Manual therapy is very important part of physical therapy it could be stretching, Soft tissue manipulations, neural mobilization, and joint mobilization. It helps to reduce swelling and temporary relief from pain. Ice usually applied first 48-72 hours of injury or in some cases even after if it inflammatory condition and swelling is on/off. Ice helps decreasing swelling by constricting blood vessels. Therapist will decide whether ice is good for your condition or not after the evaluation. It helps to relieve muscular spasms, tightness and joint stiffness. Heat helps to reduce pain, spasm and stiffness by dilating blood vessels. Therapist may use heat to aid other treatment like stretching, joint mobilization. There are different kind of current therapist used to treat patient’s pain. Electrical stimulation helps to relieve pain temporary. It can be used along with hot/cold packs. It blocks pain at spinal level by releasing endorphin and encephalin. It helps in promoting healing, increase metabolism and improve microcirculation in the area which is being treated. It is kind of deep heat which penetrates deeper then conventional hot packs and it is very useful modalities for localized pain in conditions like tendinitis, sprains. Working hands on patient cannot be emphasized enough in patient’s physical therapy treatment. Any orthopedic conditions for which patient is going for physical therapy needs manual physical therapy. Manual therapy may include stretching, neural mobilization, joint mobilization, joint traction, soft tissue manipulations. Manual therapy should be part and backbone of any physical therapy treatment. It is very important in any rehabilitation that patient goes through series of exercises to reach their goal. Range of motion exercises are to restore full range. Flexibility exercise will be to keep flexibility across particular muscle. Patient will be given particular exercise to regain strength and it will be tailored to targeted muscle and it will be part of patient’s recovery. Are you in knee pain? Suffering for stiffness and has trouble getting around? Unsure what exercises to do? If any of your above asked question is yes then you need to see physical therapist. Physical Therapist can evaluate your condition and plan your physical therapy program which can help you to reduce pain, stiffness and strengthen muscles. Most of the patients who is suffering from pain, stiffness and weakness can benefit from skilled physical therapy. Patient who did surgery also need post-surgical knee rehabilitation to reduce pain, swelling, increase ROM and improve strength. With appropriate exercises and treatment program physical therapist can bring patient close to prior functional level. For minor knee pain and sprains patient should expect 3-4 weeks of physical therapy. If patient underwent knee arthroscopic surgery should expect about 6 weeks of physical therapy. Patient who did knee replacement or did ACL repair should expect rehabilitation for about 12 weeks. Above mentioned time frames are average time frame. If you already has done about that much time of physical therapy and has not improved or are getting worst you should immediately see your doctor and find out cause. Resistance training is used by many athletes but does they know how safely they are doing. How efficient they are doing it? Many people question resistance training vs. power-lifting and research has shown more injuries have occurred in young power lifting athletes. I believe that young athletes are prone to injuring themselves because they are hard headed and don’t learn the right way to do it. Resistance training however is a great way to start building strength and eventually move up to power lifting. This topic is important to sports medicine because it is experimenting on if resistance training is safe, efficient, and causes injury prevention. It is also important to physical activity because it also strengthens the body at such a young age so that athlete could have an advantage over their peers. At such a young age athletes are new to working out different muscles so they would commonly ignore form and just lift the weight. This would present negative effect to their ability and gain because they are doing it incorrectly. Young lifters have poor technique and inappropriate methods because they are not taught the correct way or they are just guessing on what exercises to do. Young lifters should be observed initially by personal trainer or qualified person to make sure about their technique. Evidence in this article provided that the youth who participate in regularly in resistance training programs show a significant amount of strength, injury prevention, and efficiency. It is also said that public health are aiming to increase the availability of resistance training program for the young athletes. Performing resistance training provides a wide range of resistive loads, different movements, muscles, and speeds. These resistance exercises may include weight machines, elastic bands, medicine balls, and plyometrics. Compared to strength and power lifting exercises the resistance training reduces the risk of injury greatly. However, that does not mean one cannot get injured from performing resistance exercises such as poor conditioning, muscle imbalances, poor exercise technique. To prevent these injuries it is recommended that the young athlete training should be mature enough to follow instructions. Technique is key to the success of their positive gains because there is not point of doing the exercise if you are not activating the correct muscles. Another way to prevent injuries is to focus on all major muscle groups to keep your body strong and balanced. Also it’s very important that these athletes have flexibility and stretching exercises incorporated with their strength training. At some point in your life – maybe after an injury or surgery, or just after you reach a certain age—there’s a good chance you will find yourself going to physical therapist’s office. And as you look around at the balance balls, ultrasound machines, and other contraptions, and as your body is pushed and pulled in a variety of odd and sometimes even painful ways, you may ask yourself: Does any of this stuff really help? A hot pack sure feels good on an aching any part of your body. Same for the heat from an ultrasound machine, which can warm tissue deep in your body. And a cold pack on a swollen joint can also feel nice. But none of it will help you recover faster. It makes patients feel good, but it’s not very helpful, but using those things aide in recovery along with other therapeutic exercises and it helps psychologically. 2. Electrical stimulation and ultrasound. Electrical stimulation and ultrasound could be part of your treatment depends on your diagnosis which helps to relieve pain. When patient goes to physical therapy after any surgery they should not be looking place where they have lot of equipment like gym, because after most of the surgery initial goal of therapist is to gain normal movement without any pain or discomfort. Lot of the times those can be done with simple exercises and precautions. Patient should look for therapist skill and dedication to their condition and treatment. In any physical therapy care therapist needs to change patient’s exercise protocol depends on their needs and it has to be done as frequent as needed. If you are stuck with same routine you might want to ask your therapist more questions or look for some other place. It’s very important that wherever you are going for physical therapy they are explaining your problem in detail and plan of treatment. It is also important that they are using their manual skill to get you better and you are not just using machines. Manual therapy like stretching, soft tissue massage, neural mobilization, joint mobilization. It is important that you always seeing one physical therapist so they can track your treatment and modify as needed. If you have any other question of wants to speak to one of our physical therapist please feel free to call at 718-224-3818.